Gorman-Rupp O Series gear-reducer, power take-off (PTO) pumps are ideal for a variety of clean liquid-handling applications. Whether it’s controlling dust at a quarry or supplying aircraft fuel, O Series PTO pumps excel in moving fluids that do not contain large solids. Their rugged, lightweight construction and compact design enable mounting in the unused space between the cross member of the chassis frame on refueling and water transfer vehicles. Power take-off pumps provide the performance to handle the rates of fuel required by local service carriers and suppliers. 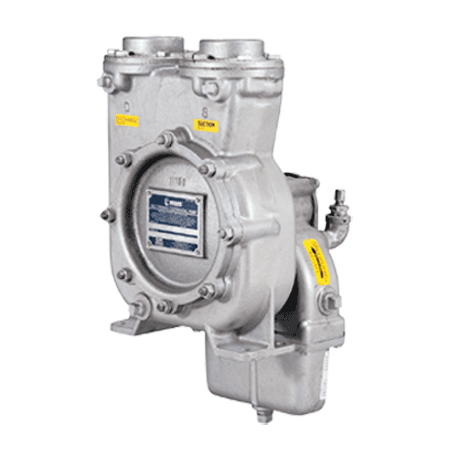 These pumps are ideal for handling fuel oil, gasoline or other petroleum based products. And, when necessary, their efficient, economical design permits multiple unit installation making them perfect for fire trucks and water wagons. Power Take-Off pumps are made for single saddle mounting with offset drive shafts that can be mounted in one of four positions to assist in shaft alignment. All models are equipped with quiet-running, durable helical gears and are available in right- or left-hand rotation. Units can be adapted to be driven by DC or hydraulic motor when Power Take-Off or auxiliary drive connections are not acceptable. High efficiency, closed impeller. Brass or aluminum construction standard. Other metals available for special applications. O Series pumps are available with self-lubricated mechanical shaft seals for dependability and long life. Viton® /Fluoroelastomers are standard. Teflon® and double seals available on some model. Consult factory for special applications.